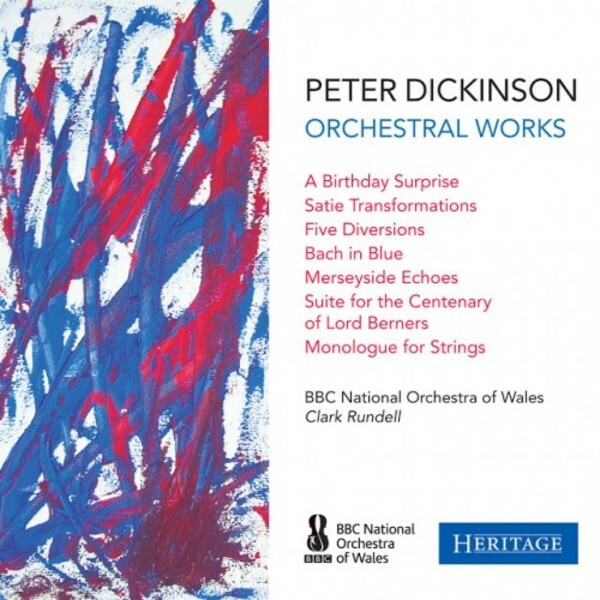 Heritage presents a new recording of the orchestral works of Peter Dickinson, expertly played by the BBC National Orchestra of Wales and conducted by the contemporary music specialist, Clark Rundell. Through these performances, we see a different and altogether lighter side of Dickinson�s creativity. All of the works presented here are very accessible and place melody at the forefront of the compositional process. With the exception of Merseyside Echoes, the works, in their orchestral versions, appear on disc for the first time.